Previously I have enjoyed the occasional Red Bull Friday or Feet Up Friday. Today we have a new kind, inspired by the very warm weather. 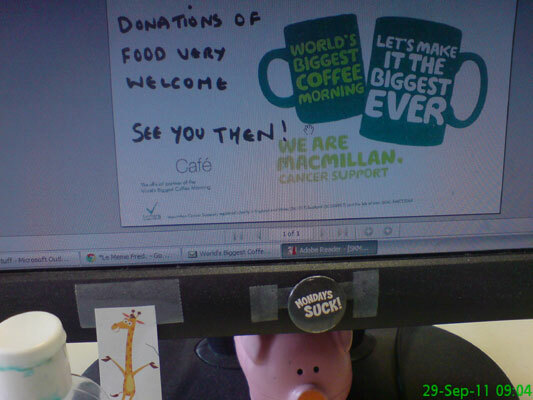 My work took part in a huge coffee morning to raise money for charity. 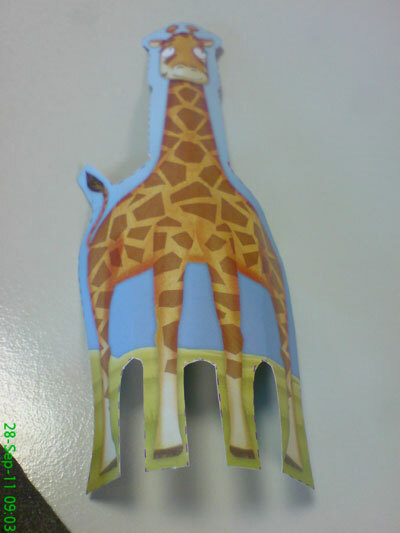 A slightly strange cut-out giraffe. 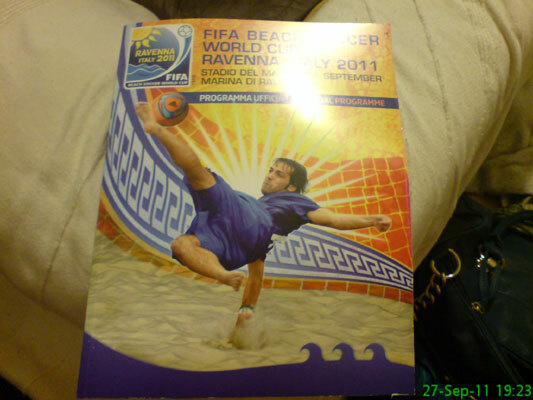 A programme from the Beach Soccer World Cup which Michael recently went to in Ravenna. 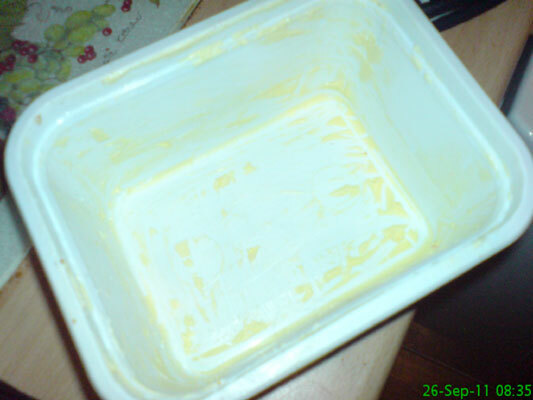 It was dry toast for breakfast as the bottom of the Flora pot has been scraped. 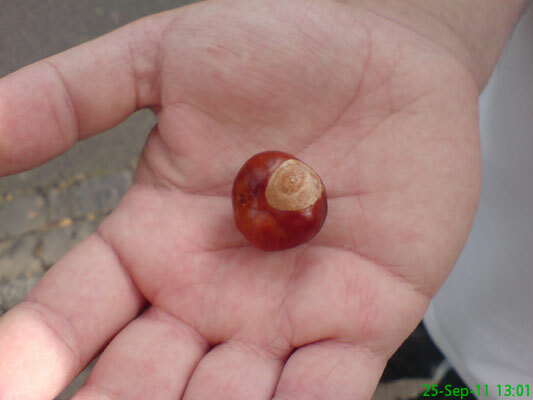 Finding conkers on the ground always reminds me of being a kid. 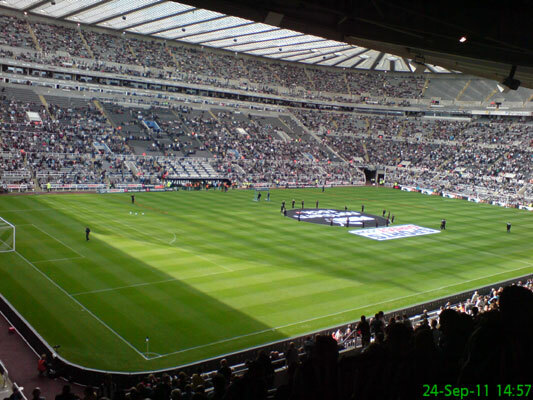 Finally, another home game to go to! It was a thoroughly enjoyable match with a hat-trick from Demba Ba. 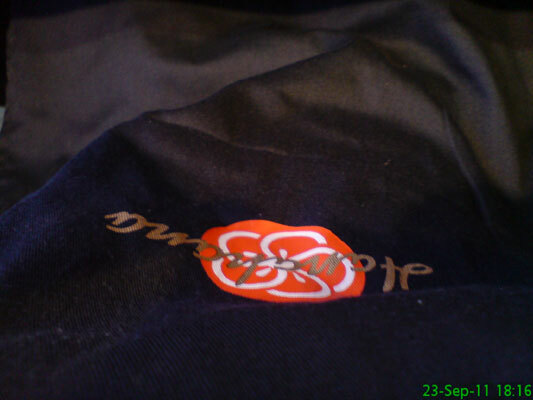 The lovely apron I got to wear for a meal at Hanahana. They must've been tipped off about how clumsy I am. 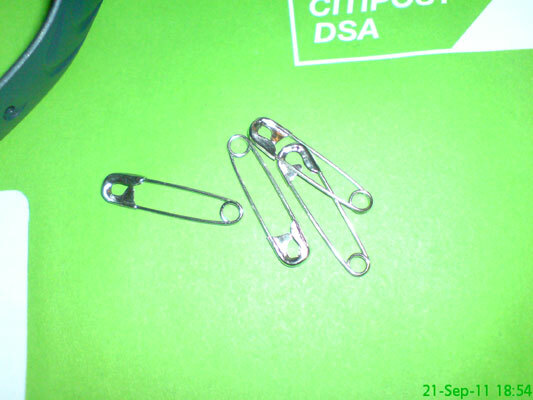 I call this one "safety pins on a green envelope.. with excessive use of flash". 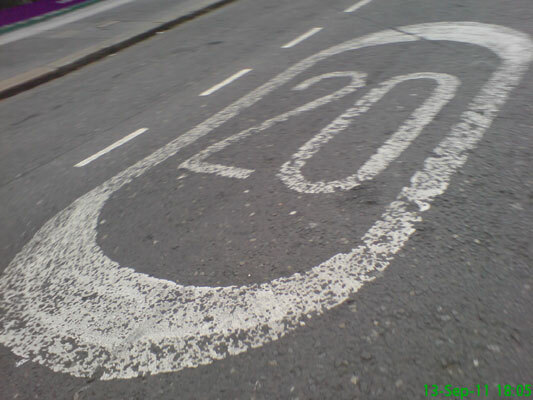 I'm so artistic. 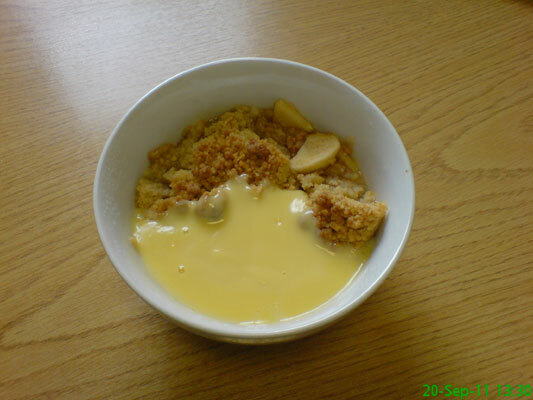 Going back to work after a day off can be depressing, but when you have Jen's homemade apple crumble.. it's not too bad at all! 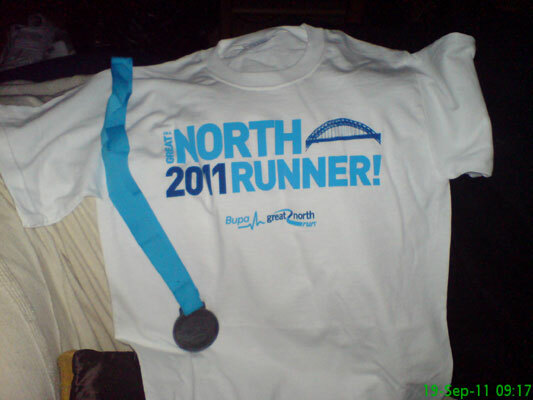 The t-shirt and medal I received for completing the run yesterday. 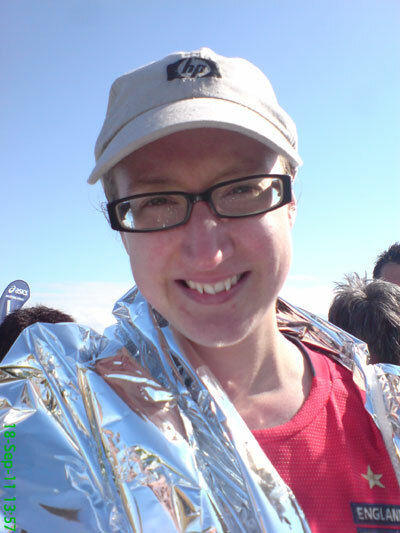 Me wrapped in my space blanket after successfully completing the Great North Run in 02:21:39. It was an amazing day and I'm sure I'll be back next year. 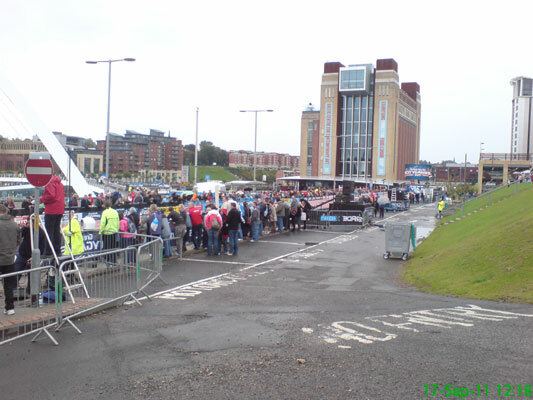 A crowd gathers along the Quayside to watch the Great North City Games, part of the Great North Run weekend. 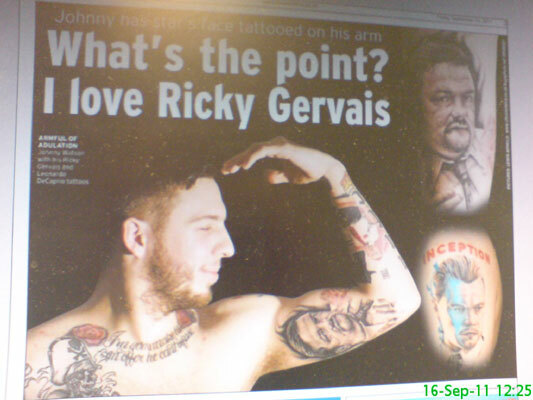 Fame at last for the legend that is Johnny 'Rocker' Watson, who made it into the Evening Chronicle with his amazing tattoo of Ricky Gervais as David Brent from The Office. I'm so proud to know him. 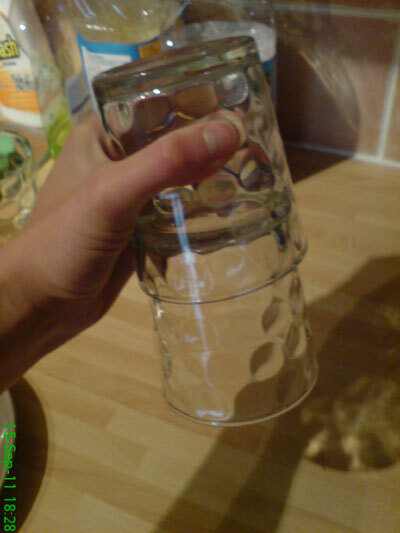 When stacking glasses I managed to get 2 completely wedged together so that they could be held upside down without the inside one falling out. Thankfully, the operation to separate them was a success and they are expected to make a full recovery. 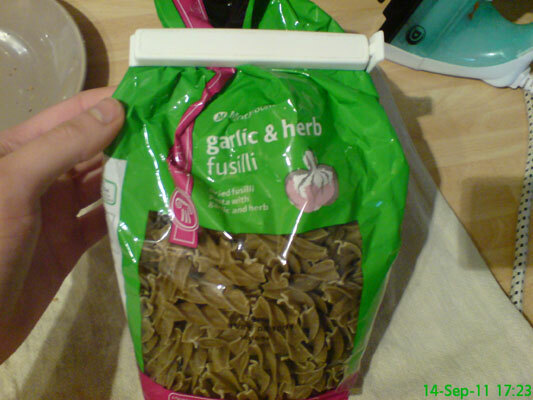 With the Great North Run only a few days away, my carbo-loading commences with some garlic and herb fusili donated by my mam. It had a slightly strange taste. Yep. 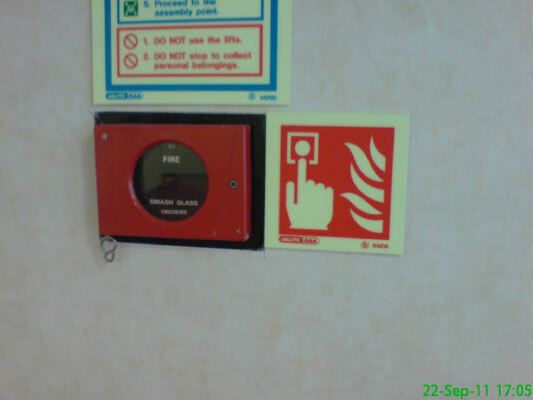 Not much else to say about it. 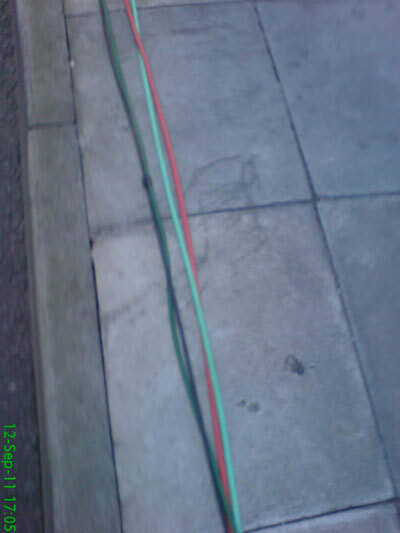 Another highly exciting day at work ended with me following some random cables towards a van.. and then walking past it. 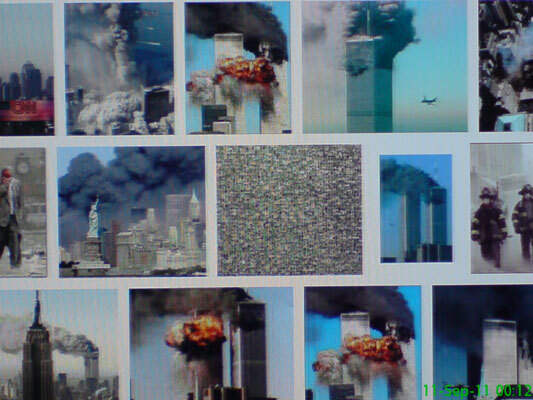 When it happened I was a teenager coming home from 6th form and stopping dead in the kitchen to watch it unfold. May each and every one rest in peace. 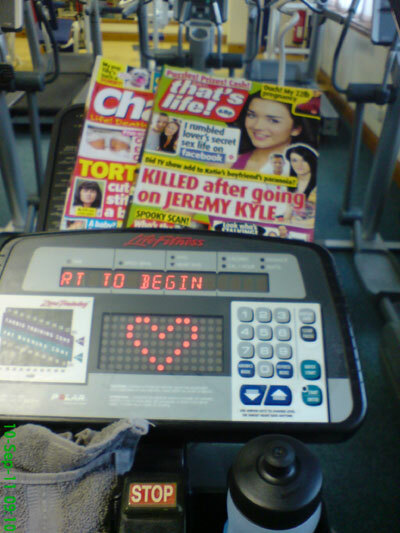 Having consumed cheesecake last night and in anticipation of some wine tonight, a bit of exercise was required. Naturally this was accompanied by high quality literature. 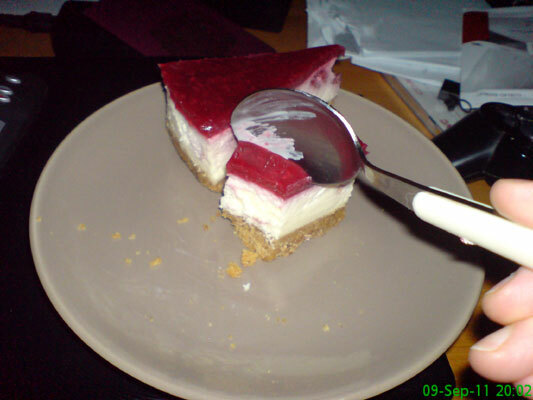 I had both slices, of course. 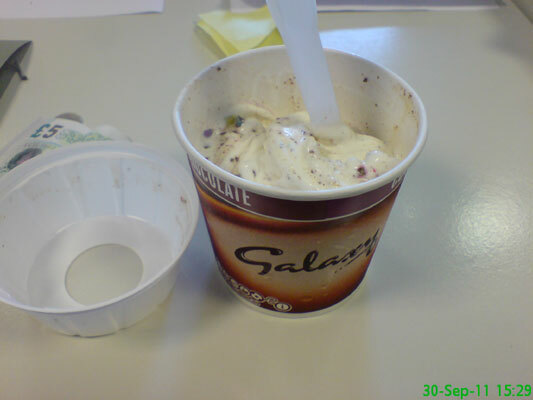 770 delicious calories. 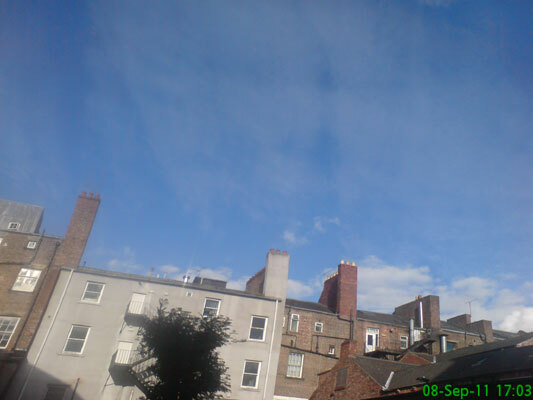 The sky looked a particularly nice shade of blue as I left work today. 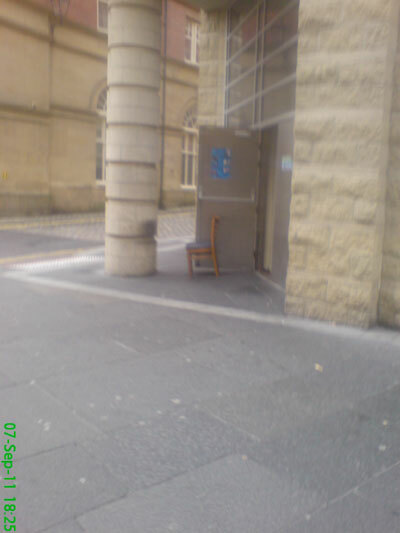 After a crippling workout at the gym it was very tempting to sit down on this chair which was propping a door open. 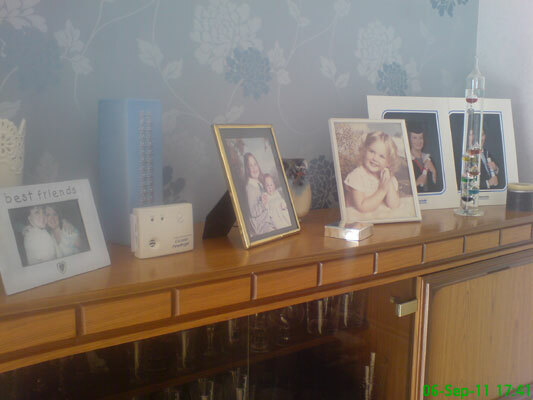 Some of the photos on display at my mam's house. Apparently my sister is the favourite because she features 3 times and there's only one of me. I'm the small blob of a baby in the middle with thinning ginger hair so really it's not much of a surprise. Going to bed on a Sunday night knowing you have to get up for work the following day is highly depressing - hence why I've been messing around on the computer until this time. 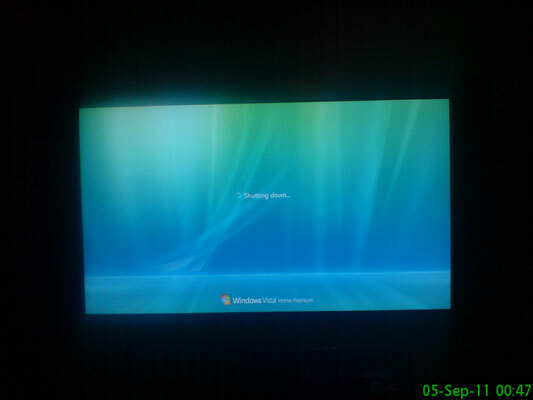 Finally, I'm shutting down to get some sleep. 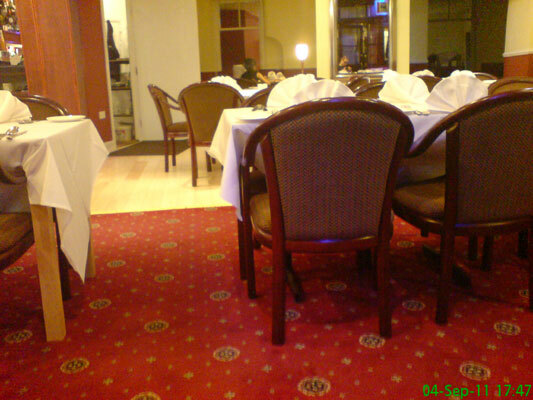 I went to collect a takeaway from LB Restaurant (Latif's) and took one of my slightly stalkier photos. The member of staff at the back of this shot is eating a delicious meal.. from Dixy Chicken! It doesn't fill me with confidence when even the staff won't eat the food I'm paying for. Also, check out my reflection in the mirror on the right as I sneak a photo. 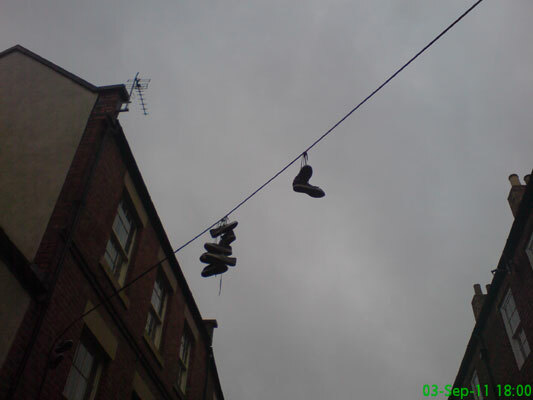 In their natural habitat.. hanging above a road. Perfectly normal. 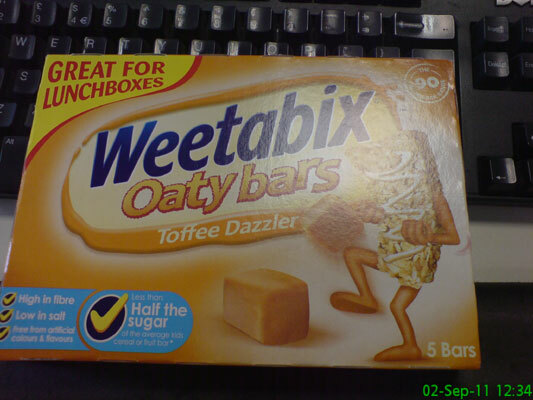 I have recently developed a love for these cereal bars. 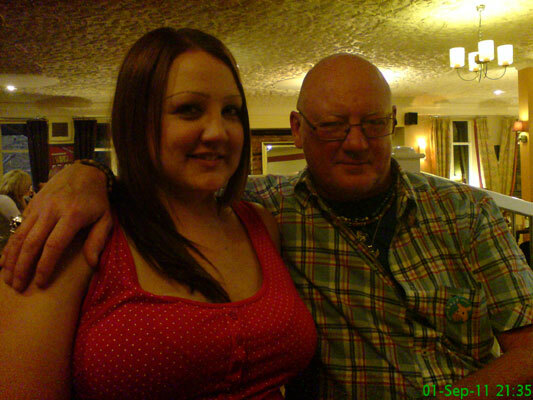 Ali & Dad at the pub quiz.